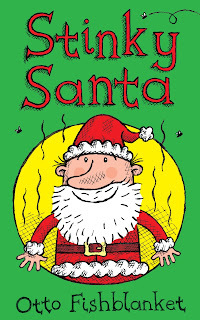 FREE CHRISTMAS EBOOK FOR KIDS! AVAILABLE CHRISTMAS EVE AND CHRISTMAS DAY! I'VE SET STINKY SANTA FREE AGAIN! FREE FREE FREE! FREE CHRISTMAS GIFT! FREE CHRISTMAS EBOOK FOR KIDS AVAILABLE CHRISTMAS EVE AND CHRISTMAS DAY (2017)! Will be free again in the future! or subscribe to this blog!